Petsitting for birds is an ideal solution if you can find someone to look after this kind of pet. Birds often have specific needs. It’s important to find a sitter with relevant experience, in order to be sure that all will go well. Owners of pet birds are increasingly common. And among these pet birds you can find many different species. The ones we come across most often are parrots, budgerigars etc. but there are also rare species which require special care (such as grey parrots). It’s unusual to find pet birds kept outside cages. Most of them will indeed be found in cages appropriate to their size. Because of this it is easier to transport your pet bird to a host family. However if your pet bird requires a large space it may make more sense to opt for pet sitting in your own home, to avoid any transport problems. As mentioned above, pet birds are generally kept in cages appropriate to their size. For some birds, it’s not possible to keep them in a cage and they live freely in the owner’s home. In this situation, the pet bird usually has its own dedicated room as its living space. If this is the case for your pet bird then it would make sense to choose pet sitting in your own home. 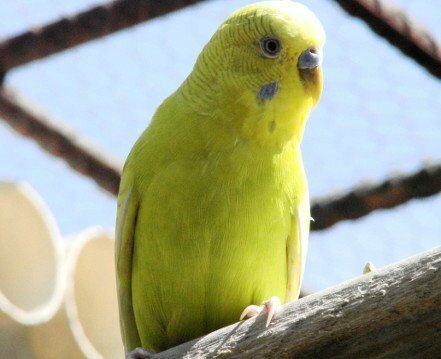 Pet birds are mainly kept in cages, nevertheless they can be sensitive to a change of surroundings. What’s more it can be difficult to transport a bird in its cage so you may prefer for your pet to stay in your home. If you don’t want a pet sitter to stay overnight then it’s perfectly possible to arrange for someone to visit while you’re away. Nowadays there are a large number of different species of birds, which can be found as pets. Some species are common and others rare, but each has its own particular needs and it’s vital to be aware of these in order to take proper care of any pet bird. So as an owner, there are certain important steps you should take in order to find the right sitter to take care of your pet while you’re away.